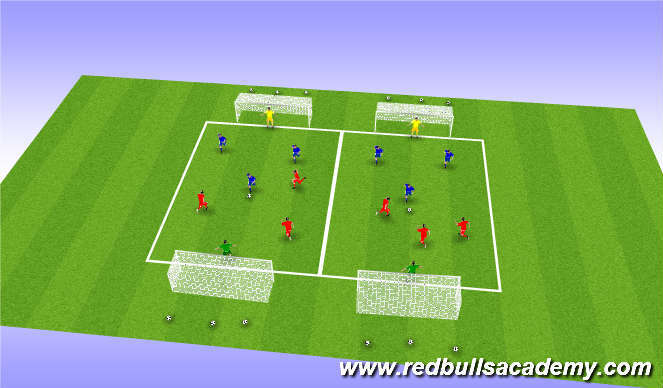 Player in possession losses one of ten lives each time thier ball is touched by an opponent or if the ball goes out of the area. As above but 3 reds and 3 blues in each half. 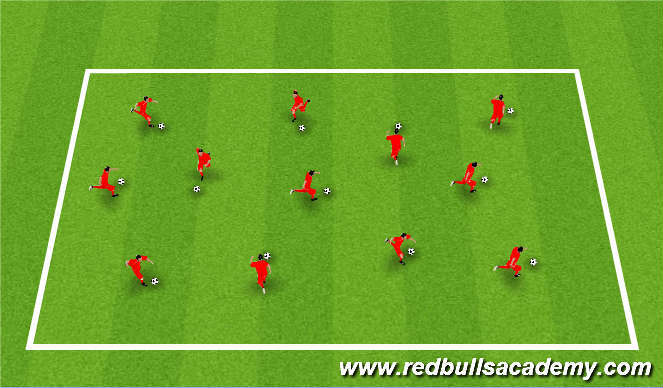 one team starts with the ball and attempts to dribble the ball into the oppositions END ZONE where the ball is left. If the defending team steals the ball then they counter attack to the opposite END ZONE. One or two balls can be used. The scoring player must retreat to their END ZONE and touch a cone before becoming &apos;active&apos; again. No defensive player is allowed to recover into END ZONE. 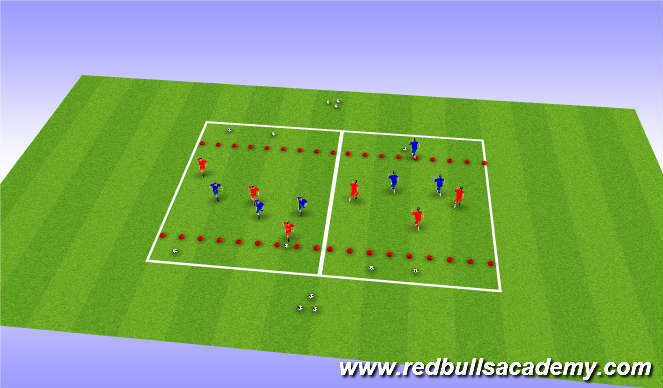 Regular scrimmage with regular rules, My put a condition on the game to start with to force the players to dribble e.g. 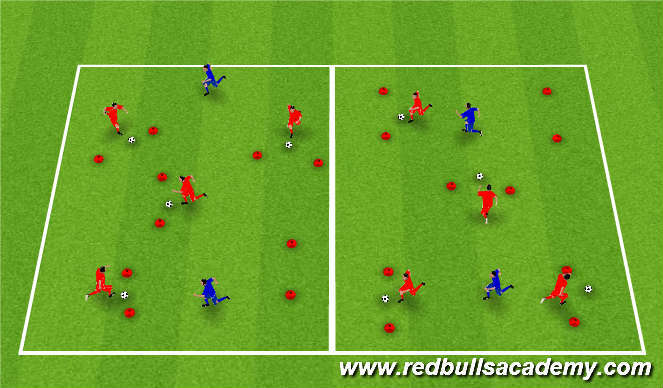 player must take 3 touches min before passing or shooting.